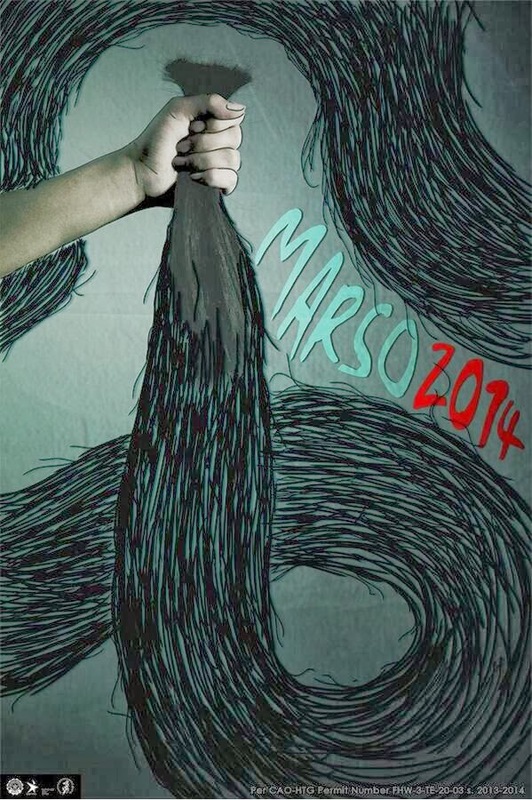 De La Salle University’s premiere theatre organization, the Harlequin Theatre Guild, concludes season with Fish-Hair Woman showing at Teresa Yuchengco Auditorium of De La Salle University-Manila on March 20-22, 2014. 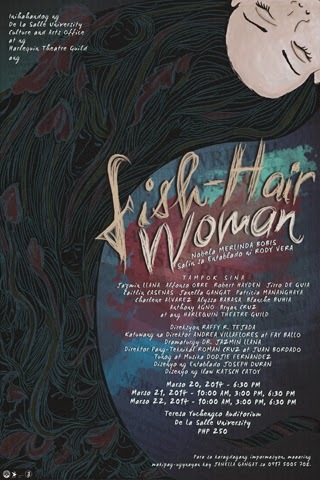 Fish-Hair Woman is a musical based on the acclaimed novel by Merlinda Bobis and adapted for the stage by renowned writer, Rody Vera. Directed by ALIW award nominee and the guild’s Artistic Director and Trainer, Raffy Tejada of PETA, the production will put you in war-stricken Iraya. A cradle of corpses—a river filled with soldiers and armed forces—lies in the heart of Iraya. The Fish-Hair Woman floats on, consoling mourning families by retrieving bodies of their loved ones with her twelve-meter hair. Will these families find justice? Will the “Fish-Hair Woman” redeem her beloved Iraya and her heart’s peace? Together with director Raffy Tejada and writer Rody Vera, Fish-Hair Woman unfolds the story of Stella in the midst of the conflict through music composed by Dodjie Fernandez. The production features its intimate set-up with the theatre-in-the-round format, designed by Joseph Duran. Katsch Katoy’s design lights up set despite the dark stories of its characters. For tickets, please contact Janella Gangat at +(63) 917 5005 708.